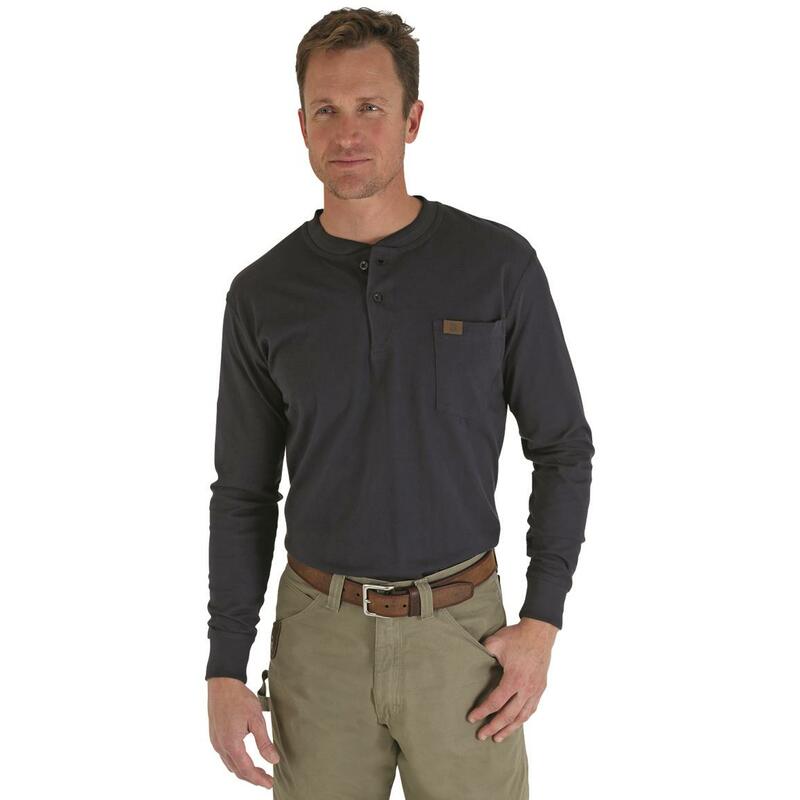 This Wrangler® RIGGS Workwear® Henley shirt is every bit durable as their jeans, but designed with extra comfort features. Like vented taped side seams and a taped neck seam for irritation-free wear. 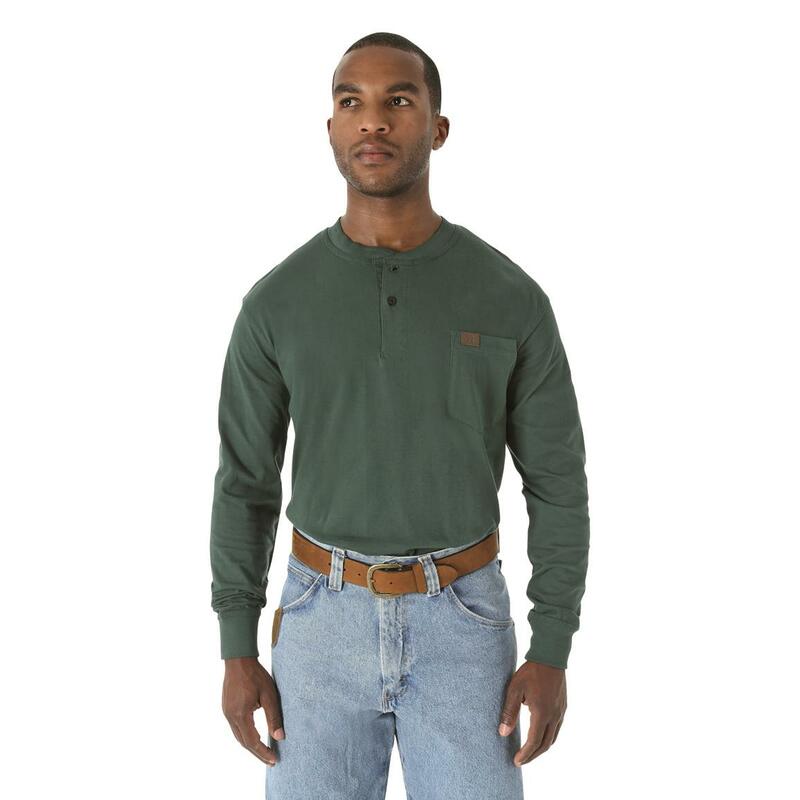 Along with long-lasting triple-needle stitching in a work-ready relaxed fit. Great as a layer or on its own. 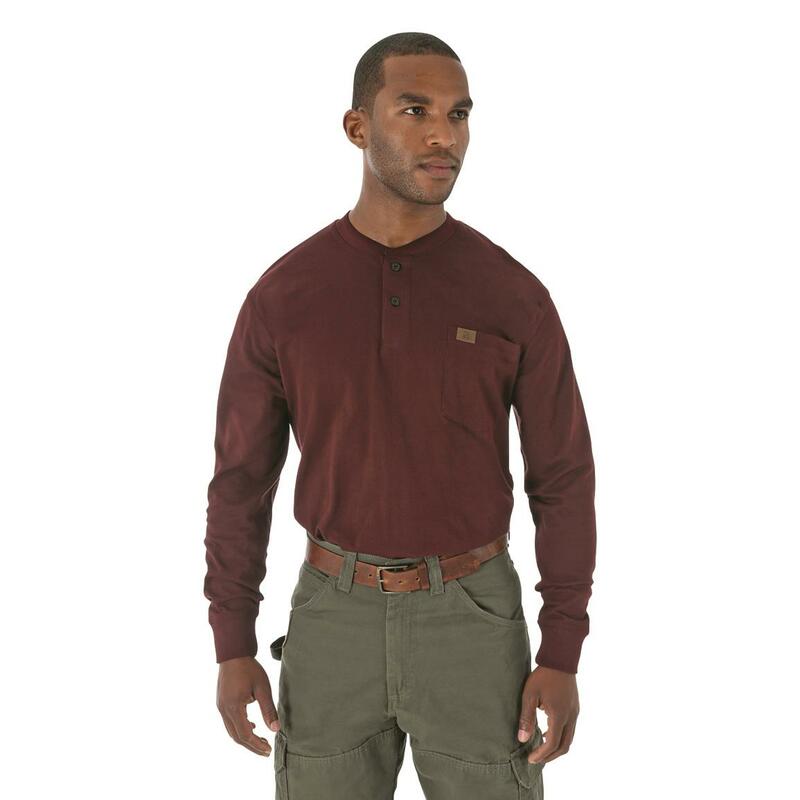 Wrangler RIGGS Workwear Mens Long Sleeve Henley is rated 4.6 out of 5 by 87. Rated 4 out of 5 by Meach from Riggs Love Sleeved Henley My husband loves these shirts. They a very good quality and even have an extra little loop inside of the pocket which makes his day. Rated 5 out of 5 by Rick from Looks Great Good workmanship. Runs small, I bought an XL instead of my usual L, fits fine. A little thicker material for colder weather. 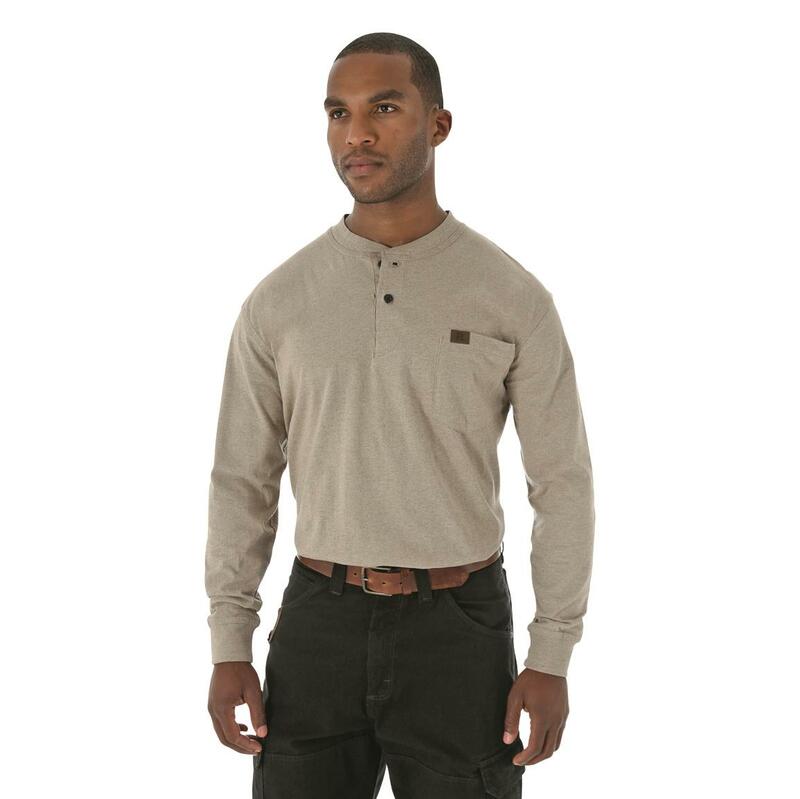 Rated 5 out of 5 by LarrysGrip from Superb Shirt Love Henley pull over access and stylish layered look. My go to shirt for warmth, layering and pics with family. Handy hidden pen pocket inside front pocket which fits my iPhone. Rated 2 out of 5 by Bread or whisky from good color I don't like Henley when they have a notch on both sides on the bottom edge. Rated 5 out of 5 by DCH from I will buy this work shirt again. I really like the fit and the style. Rated 5 out of 5 by LColl from Very comfortable Very nice shirt, comfortable and warm in the winter. The sizing seems to be normal. This is my second purchase of these. I wore the first two all last season, and decided to get two more. Excellent value. Rated 5 out of 5 by BigO57 from Good Quality Shirt This should is made from quality materials and fits well. It can stand up over time very well. Plenty of room for work or outdoor activities. Rated 5 out of 5 by Mo Dern from I buy this product every year. 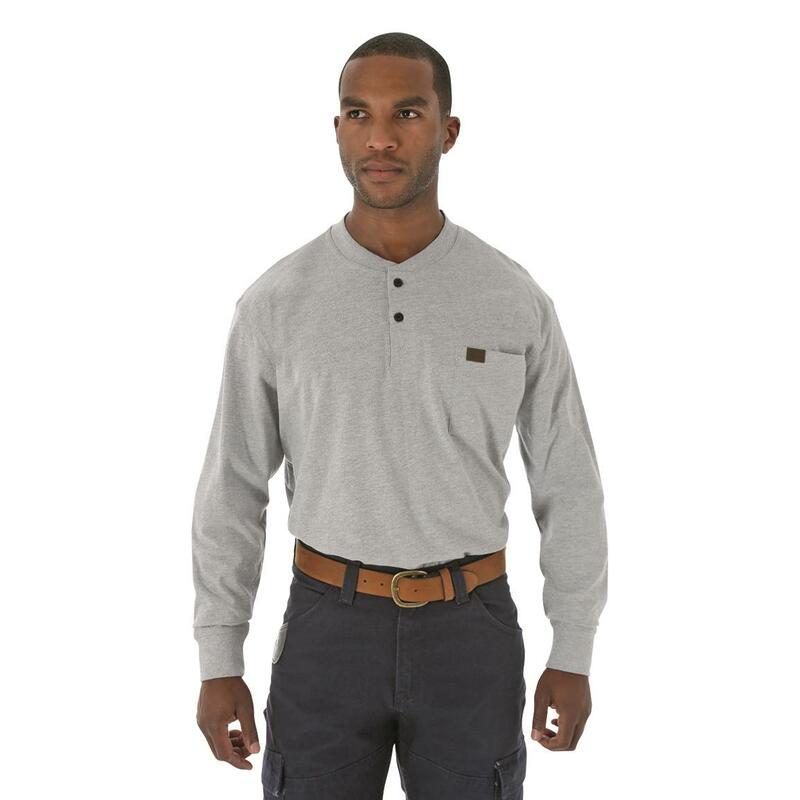 This product is a Henley shirt but with a pocket in front where you put your eyeglasses. It can be worn under a collar shirt or over a T-shirt. I wear it both ways. It looks good, it's heavy like a heavy T-shirt, and they take a long time to wear out! I buy one or two a year. They seem to be true-to-size. I buy the short and long sleeves. The shirts are great to work in or go out to a restaurant in. It's a good "guy" shirt.